How Do Podcasts Make Money? Podcasts are growing in popularity day by day. Ever wondered how your favorite podcast can afford to keep getting better? Or how you can make money from your podcast? For podcast junkies, there’s a thrill in discovering the next Serial, Dollop or Unexplained, and we love it when shows break a commercial barrier, with more funds and leeway for content creation. 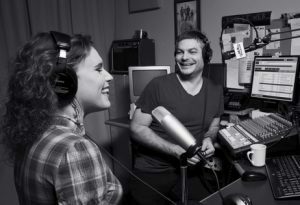 As the moneymaking potential increases, so does a podcast’s popularity… and the same may apply to your internet radio station. Eventually, a podcast could grow far beyond one or two people talking in a room, and become a mild phenomenon. These days, the gates of media access have been blown right open. In their wake, we’ve found numerous routes to a democratic form of broadcast, whereby people fund the shows they like, skipping around the typical network monopoly and podcasting has also benefited from this form of broadcasting. In terms of content service channels, Patreon is by far the best known. Audio creatives tend to conceive, produce and disseminate their podcasts on the internet, promoting it via an app/social network strategy. They might release half a dozen shows to find out who’s interested, and how the listener figures are growing. Then, soon enough, they’ll have a Patreon account, with rewards for any donors. It works like this: a podcaster establishes their Patreon subscription and asks people to pay a small monthly fee or one-off payment, as a ‘thank you’ for the content. There are subsequent rewards for doing so. This could be something like a special run of episodes that can only be unlocked with a subscriber code. The donations build up – a $1 payment from 1,000 people, for instance, may be enough to cut a ‘real world’ job down to part-time so they can focus on production. This is how momentum starts to climb – the podcast gets fans, who want more uploads, and realize they have to make the added effort worthwhile. It might be said that everything stems from a growing listenership. If you’re a solo or team-based entrepreneur publishing relevant, captivating content through your podcasts, growth in listenership can be harnessed for direct sales tactics. Perhaps pushing a service or product that you’ve had a hand in. There’s no harm in plugging yourself. Rewards come to those who work for them, and it’s your efforts that have garnered a following of some magnitude. Listeners will understand and (potentially) reciprocate, as they already trust you, to a degree: a fantastic primer for flogging what you’re passionate about. There are a number of companies looking for affiliates to resale their products for a commission. We have to say, though, that the associated offer has to tie directly into the podcast’s theme. Otherwise, it falls flat on its face. A vapid and random product plug undermines your sense of cohesion. It might make it seem as if you’re desperate to make cash instead of fans. However ensure that the adverts do not overshadow your content. Some websites make the mistake of over advertising. Too many ads make customers feel overwhelmed and constantly interrupt visitors which can prompt visitors to leave a website. Not only does over advertising have a negative effect on your site visitors, but also affects the SEO of your site due to slow speed, delays in rendering and also affects crawling of your website by Google. 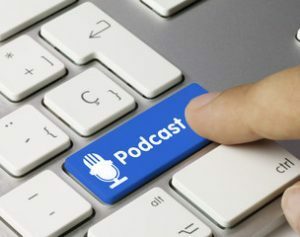 For a select few podcasts – the shows that are drawing the largest numbers – there’s always the chance of a corporate sponsor knocking on their door, providing another angle of making through your podcasts. Brands like Audible, Blue Apron, Squarespace and Casper mattresses have a strong presence in the podcast sphere. They’re skewed to the same demographic: those aged between 25 and their mid-40s i.e. the main consumers of podcast media. A company will approach the creators of a show, and offer them cash for a fixed period. In return, they ask that the host gives a personal ad for their services at least once an episode. It’s usually carried out during the intro/end to a show, or as a segue from one part to another. Often, there’s a fair way to go before any audio series reaches the official sponsor stage. In terms of your success as a radio DJ (which is taking the D.I.Y podcast feel, and broadening it with classic programming templates), it’ll initially be best to push your Patreon link. Success in this area will make a handful of brands take notice. And, with the added length and consistency of internet radio, your advertising appeal is larger than a podcast’s could ever hope to be. We’ve strode over three separate financial plans for podcast/online audio success. Yet the last in our list is harder to define, because it can take any form you might think of in terms of generating revenue for you. We’re talking, of course, about the networking opportunities you will encounter when you do your podcasts, assuming it’s a show that welcomes a lot of guests to the mic. You might be wondering how you can make money from your podcasts through networking? Well, whatever the focus – be it science, current affairs, music, storytelling etc. – you’ll be courting some fascinating people, who are rightly amazing at what they do. Suppose you hit it off during (and after) broadcasting . In the newly enriched ground of your professional respect, a collaboration could be seeded, either in the immediate weeks or a year or two from now. They might jump on board with a business idea you’ve already come up with. Or the migth offer their own, seeking a partner with your promotional skills. Discussions have the chance to widen into a spectacular idea. And you’ll keep meeting others through them, as long as you’re open to shaking hands and being attentive. Radio broadcasters are used to doing all of the above – the independent sort, of course, like you and us, who’re serious about the internet’s communicative freedom. The barriers separating a podcaster and a radio DJ are cracking apart; we’re all on the same playing field now, spinning cash out of the gains we make from organic interest. If you’re crafting unmissable shows, the money will begin to trickle in from your podcasts. And hopefully it thickens into a stream you’ll rely on! Being a full-time online radio DJ doesn’t have to be a fantasy.Invest in SAM Broadcaster Cloud to make it happen.